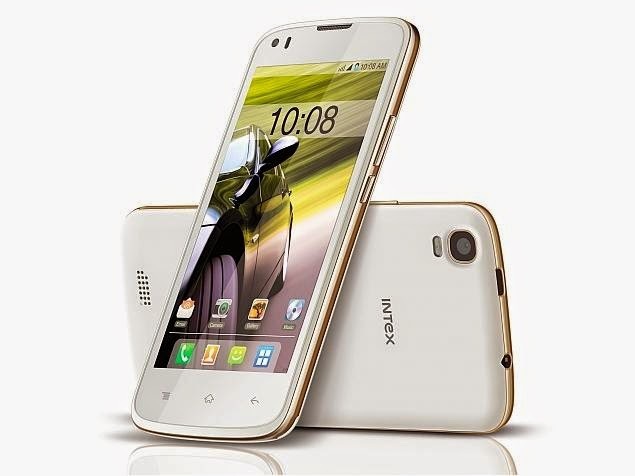 The Indian Smartphone brand, Intex has launched another affordable Dual-SIM Android Smartphone in its Aqua Series. Powered with 2GB RAM, the Intex Aqua Speed HD offers high-end features and multi-tasking capabilities at an affordable price tag. Are you looking for a Dual-SIM Android Smartphone with 2GB of RAM at a pocket-friendly price tag? Well, your search ends here..!! Intex, the leading Indian smartphone brand has launched their latest Intex Aqua Speed HD with 2GB RAM at Rs.8,999 only. The Intex Aqua Speed HD is the successor variant of Intex Aqua Speed, which was launched last month. With this smartphone, Intex is planning to win those buyers, who were tilted towards the Motorola Moto E (2nd Gen.), Lenovo A6000, Xiaomi Redmi 2, Xiaomi Redmi Note 4G or Yu Yureka. The Intex Aqua Speed HD is a Dual-SIM Android smartphone, which sports 4.7-inch (720 x 1280) IPS LCD display, which is protected by Asahi Dragontrail glass. This HD display produces crisp and sharp colors and graphics, which can be pleasant to look at while playing games or videos. The viewing angles under outdoor lighting conditions on this display are good too. As the name suggests, the Intex Aqua Speed HD is made for performing multi-tasking activities without any complaints. For which, it features a MediaTek MT6582M chipset, 1.3GHz quad-core processor coupled with massive 2GB of RAM and Mali-400 GPU. With this hardware configuration, this smartphone can run almost every big application and high-end games with an ease. Running on Android 4.4 KitKat operating system out-of-the-box, the Intex Aqua Speed HD will offer a complete Android experience. For photography needs, this smartphone has been given an 8 Megapixels rear camera with features like LED flash, Panorama, HDR, face/smile detection, touch-focus and more. For the Indian buyers who love clicking selfies, the Intex Aqua Speed HD houses a 5 Megapixels front-facing camera. The owner of this smartphone gets 16GB of on-board memory, which is expandable up to 32GB with a MicroSD card. However, the 16GB on-board memory seems enough for storing music, videos, files and installing apps & games. The connectivity features include 3G, Bluetooth, Wi-Fi, GPS, MicroUSB and more. Fuelled with 1700mAH battery, the Intex Aqua Speed HD weighs 120 grams and is 8.95mm thick. This smartphone is available in Sea Blue, Silver and White color options. The Intex AquaSpeed HD is an affordable smartphone offering, which allows multi-tasking without any lags. This smartphone is made for delivering high-end performance, where it won’t compromise with anything. It sports a nice display, powerful processor, great 2GB of RAM, a brilliant pair of cameras and a big on-board storage memory. All these successful ingredients together make Intex Aqua Speed HD, a powerful and total value for money smartphone deal. However, if you compare this smartphone with Yu Yureka or Xiaomi Redmi Note 4G, you might get a second thought while purchasing this one.